When Cyclist came to Switzerland to ride and review the Granfondo San Gottardo they got more than they bargained for! I admit to being a little underwhelmed on examining the course details of this event. It’s only 110km in length, which seems pretty easy on paper. But then looks can be deceiving. The night before the race, Tom Eeles of organiser Brevet Cycling invites me to a pre-ride briefing, and it becomes clear how a little prior knowledge could prove vital. The three climbs are all demanding, but in very different ways. First is the Gotthard Pass, also called the Col du St-Gothard, which rises up to 2,091m. That makes it the lowest of today’s peaks but it actually boasts the longest climb: 932m over 12.7km. Then come the cobbles. 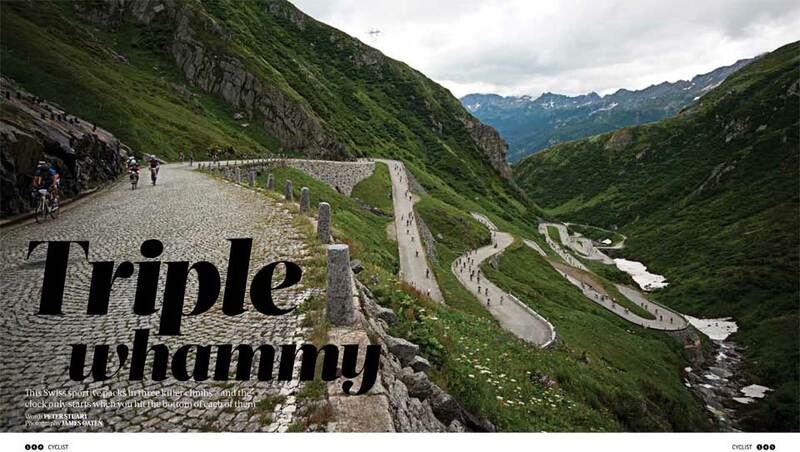 That’s right – cobbles on an Alpine climb. They arrive in the final 3km and make the charge to the top a trial of concentration as much as fitness. The first climb is topped off with a 15% ramp to the finish marker. Then you get your breath back on the descent before hitting the Furka Pass, the shallowest of the three climbs, and the shortest. That said, it’s plenty long at 12.3km, and it reaches an impressive height of 2,431m. Last comes the Nufenen Pass, which peaks at 2,478m with an average gradient of 8.5% and spikes of over 20%. My nonchalance at the event’s modest distance has quickly evaporated. Did Peter survive the challenge? Buy October’s issue of Cyclist or read the Granfondo Gottardo Review and find out! Here at Brevet we’re the specialists in Swiss sportive holidays. If you love the mountains, love to ride but lead a busy life then let us sweat the small stuff and make your cycling holiday dream come true. Short on holiday time? 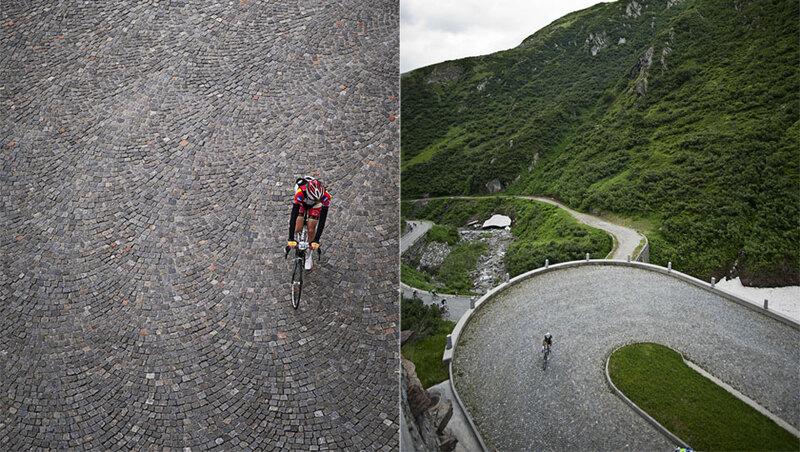 Check out our Granfondo Gottardo Sportive Weekend. Got a little more time and want to explore the Swiss Alps with us for a few days and ride this beauty? Then check out our 5 day Granfondo Gottardo Holiday. It was an absolute pleasure to host cycling photographer James Oaten. I’ve rarely seen a man so in love with the mountains. So awestruck by their sheer magnificence and raw power. That’s what we’re about here at Brevet – sharing the riding we love with like minded people. Kudos: Big thanks to protagonist Peter Stuart and lensman James Oaten – looking forward to having you back here in the Swiss Alps soon!